I love dinosaurs and I love vintage repro, so when I saw that Lindy Bop had pretty much created my dream dress I was over the moon! Cute print? Check! Adorable collar? Check! Prehistoric pin-ups? Triple check! One of many new, fun prints in this season, this dino dream is made from a lovely matte fabric which has plenty of stretch to it. With the deep fitted underbust waistband and wide flared skirt, the shape is typically 50s but with a frivolous print. I always size up by one with Lindy Bop dresses as I find them a little small on the bust, but I actually think that between the large shoulders and stretchy nature of this design, I could have brought it true to size. The fabric is brilliantly ludicrous, and I love it. 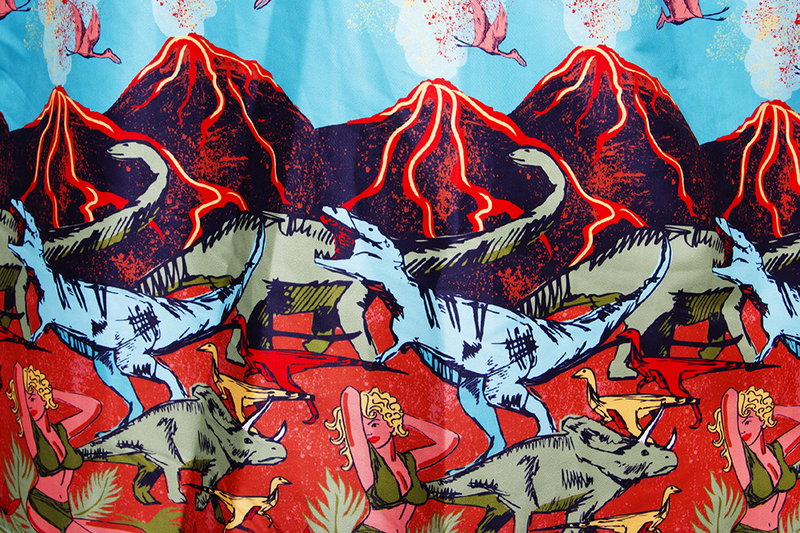 From a distance it could be a stunning modern art print, but then you get close enough, and nope - it's a menagerie of dinosaurs, volcanoes and blonde babes. 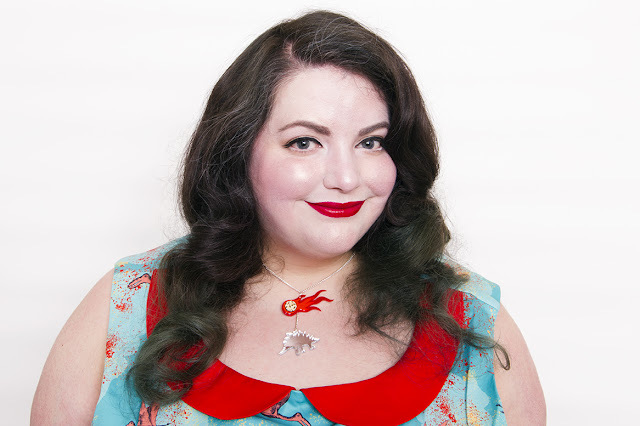 I teamed it with a dinosaur / comet necklace which was a gift from one of my lovely sister in laws, and an item which at the time of writing, I've been complimented on every single time I've worn it. 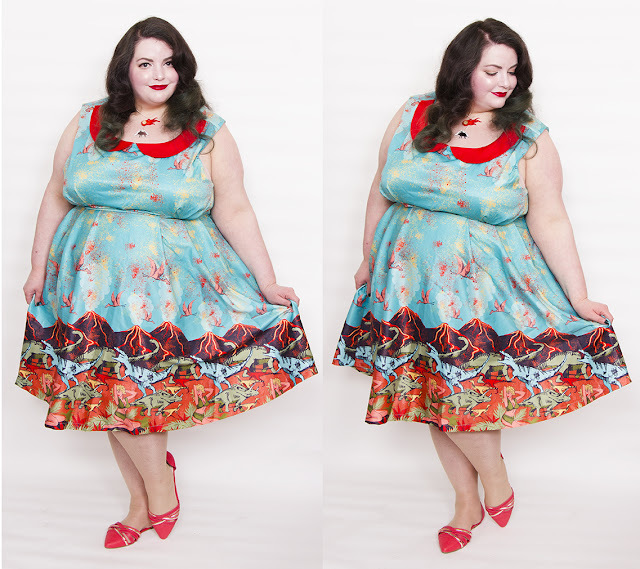 This dress is so cute it's ridiculous, and will be worn a lot come the summer. I've been wanting to revisit the Natural History Museum for a while, and fully intend to rock this even if Dippy is no longer there to appreciate it. It's also worth noting that Lindy Bop have further extended their sale with lots of new items added too so maybe have a look and nab yourself a bargain! * Dress sent as a gift. All words, photos and opinions are my own. This might be the best dress ever. You look fantastic. I need this dress.